This question seems to be stuck in a revolving door and no matter how much you answer the question someone else comes and asks the same question. What does Islam say about the treatment of women? Now there are many parts to this question and the main part seems to revolve around the negative treatment that women bear at the hands of some tyrants. So what we would like to do is start by looking at the Quran and the wonderful examples of women we find there. The fourth chapter in the Quran is called the Women/Al-Nisa and this has many clues and insights that need to be pondered over. Sura Nur (Quran 24:4) states something that is rarely reported. "Those who accuse chaste women but do not produce four witnesses are lashed eighty times; and do not accept their testimony afterwards." Eighty lashes are their recompense if someone accuses a chaste woman of illegal fornication without proof. Also any testimony, from the accusers, after this event is not accepted from them in any court after this. Why? because the honour of a woman is something precious. Look how Allah (the Exalted) guards the honour of a woman from those who are unrighteous. Note that there is no equivalent verse about accusing men although they are under the same ruling but not specifically like women. Allah (the Exalted) knows that if the honour of woman is tarnished once she can rarely re-build it again and this is why this injunction is in place. The only woman mentioned in the Quran, by name, is Maryam the mother of Jesus (upon him peace). She was a mother who kept herself pure from the diseases of her time. She is mentioned as a female waliyyah or saint and the greatest women of her time. She is addressed in the most respectful manner and she has a Quranic chapter named after her. Even the Christians do not have a chapter in the bible named after her! Look at the mention of the queen of Sheba who was described as a just leader. When it becomes clear that she was incorrect, in her previous beliefs, she changes to the religion of Suleyman/Soleman (Quran 27:44). Consider how difficult it is for an average person to change your beliefs nevermind a ruler! All the women in the Quran that are either implied or stated are inspirational. As is the story of the wife of the Pharaoh (Sura Yusuf 12) who after repenting later married Yusuf (upon him peace) and her story is one that should also inspire. As a woman can repent and attain a high rank. Look at way the mother of Musa (upon him peace) placed her infant son into the river when babies were being killed. Yet the events that transpired meant that she was given her son back when the child came into the house of the Pharaoh. There are the wives of the Prophets mentioned in many different verses: Sarah wife of Ibrahim (upon him peace), the wife of Adam, Aisha’s (may Allah be pleased with them) innocence is declared and so on. Ponder how Allah (the Exalted) declared the innocence of Aisha in the Quran. Had Allah (the Exalted) wished He could have simply instructed the angel Jibreal (upon him peace) to do so. Yet Allah (the Exalted) decided, in his infinite wisdom, that it be part of the Quran. As it is an enormous sin to accuse a chaste woman. The women who are disbelievers, like the men, are not specifically mentioned with the exception of the wife of Abu Lahab who used to place thorns in the path of the Beloved (may Allah bestow peace and blessings upon him), she rejected the message and displayed open, violent opposition to the early community. 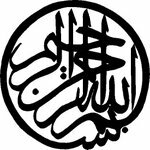 Even though she is not named in the Sura she is described as the wife of Abu Lahab; as he is also mentioned specifically. (Sura Al-Massad 111). Also look how Allah (the Exalted) shows mercy to those who were married before because in many cultures women who have been divorced are seen as if they have something wrong with them. And often, after one failed marriage, they are unlikely to marry again and are often blamed for divorce. Allah (the Exalted) placed women who were divorced before women who were unmarried. This could be one of the reason that the Prophet (may Allah bestow peace and blessings upon him) married women who were divorced or widowed to teach the men that women who were divorced should not be left alone. Look at the order of the words the divorced woman is before the unmarried woman. So this obsession, that some men have, of marrying a pure like snow woman who has never spoken to man should be put away. As many of the men who want virgin women are not virgins themselves! And only one of the women who the beloved Prophet (may Allah bestow peace and blessings upon him) married had not been married before and all these women became known as the mothers of the believers. Yes, the majority of those who are the mothers of the believers are those who were married before. This was one of the most honourable terms that they could attain because of their marriage to the Chosen one (may Allah bestow peace and blessings upon him). Someone told me that if a man read and understood Sura Mujadilah (58) he would never abuse his wife. The first line is Allah's (the Exalted) response to Khawlah ibn Tha’lib’s problem because of the actions of her husband. Think for a moment that Allah (the Exalted) listened to the complaint of the wife over her husband. There is no equivalent verse about men; this shows how much Allah (the Exalted) values women because he responds and listens to their complaints. Also look at the term ilyla' which is when a husband swears not to go near his wife for four months. Although the male might not consider this as anything, he now has to perform an expiation/kafarah before approaching his wife! In the books of Fiqh you can also look at the term Al-Zihar which is when the man says that his wife is like the back of his mother. This constituted as divorce in pre-Islamic Arabia but now he has to perform kafarah/expiation. Ponder how the unjust words of the husband are being taken into account in this chapter and if he is being taken into account for his words what would be the case about his actions? Read the chapter again and again. This is the justice of Islam towards women which is something so many of us do not understand. Women have more rights in marriage than men! Women have the right to the marriage gift (mahr), expenditure for their housing which has to be her choice, clothing, food and even conjugal relations. And only the latter does the man have any rights in. The pronouncement of the word divorce three times means that the wife has to marry someone else before re-marrying her former husband. Marriage is not a joke or a piece of clothing that someone wears and casts aside when they feel like it. Also insulting ones wife, with the intention of divorce, can also cause irrevocable divorce. I am not joking it’s time to study the chapters of divorce! If you really want to divorce your wife then prounce it once and only after careful consideration, take your time. So this also gives you two chances to take her back because if you give her three at once she has to marry someone else before she can re-marry you. This is the consensus of the Ahl-Sunnah wa Jammah, the Hanafi's, Shafi's and Maliki's. Ibn Rajab Al-Hanbali rejected the opinion outright that there could be a possibility that three pronouncements, at once, meant one divorce, he said it meant three. (See his biography in Jamma' Al-Ulum wa Hikma). You do not punish her with three pronouncements you punish yourself because she now has to marry someone else and consummate the relationship before returning to you. Marriage is not a joke and when you play with its rules you pay the price. "O Lord, I am in need in whatever good you bestow upon me." The answer was forthcoming, Shu'ab offered one of his daughters to him as well as a job. So ponder now how valuable this supplication is. When a Prophet asked for goodness he was sent a wife and a job. Is not your wife a great goodness in your life? The famous Quranic passage, "Men are maintainers of women, since Allah has made some of them excel the others." (Quran Women 4:34). The meaning of this passage is that men have a responsibility towards their women folk. In terms of their education, upbringing and so forth. So this responsibility starts with the father then continues with the husband. Men have a duty of care towards their women and this is not to be misunderstood to be that the male is better, as only those who are more pious are better. This is of course regardless of gender, race and nationality. (Sheikh Abdullah Adhami Gender relations cd) There are some women who maintain their men so how high would their rank be! So all these passages show us how highly Allah (the Exalted) has placed women. So all the women in the Quran are positive and shown as being pure, devoted mothers, devoted spouses, strong, just in leadership and most of all their hearts were full of faith and divine providence. Now thanks to the largely biased, war mongering and xenophobic media we are often treated to delights of myriad cases of abuse, forced marriages and wife beating. I am not saying that this does not occur as it does and it’s a sad fact of life. But when one man beats his wife up and another man does the same. Why would religion be a distinguishing fact between one and the other? Islam allows a man to admonish his wife but not the extent of bruising or physical harm as that is simply abuse. And the man who does that has gone beyond the normal limits that he was given and his relationship with his wife is forever ruined. Of course mental abuse which is all the more harmful and is also out of the question. If the passage that is often quoted about beating ones wife, "Strike them." (Quran: Women 4:34), meant actual beat then why didn't the Prophet (may Allah bestow peace and blessings upon him) do it? And we all know he did not so it must mean something else then, right? It means admonishment and a beating that does not injure (according to many Quranic commentators). Everyone knows that women bruise easily so how can you have a beating that does not cause bruising? Answer it means admonish them and not a beating. Women are the physically weaker gender (in most cases) yet are, in other cases, the mentally stronger. They can cope with situations that bring some men to their knees. Despite this endurance men should never abuse their spouse and should seek to heal the scars in their own soul. If they are feeling provoked then they must seek resolution in a dignified manner. Women are hurt much easier than men like to admit. Please see section of marriage for more details. Although it should be noted that the treatment of women by men in many countries and many places leaves a lot to be desired. Those without religion abuse their wives as well. So its really a world wide problem and its not limited to a race or religion, no matter what the headlines would have us believe. Has the love gone? Last year I was observing a exceptionally cute baby boy when what was happening with the parents began to concern me. The father was treating his wife harshly. They were both tired in the plane and he fell asleep then she rested her head on his shoulder. When he woke up he got up and brushed past her in a rough manner which asking her to even move out of the way. It was clear that the husband was upset about something and he had not informed her. She on her part did not complain about her harsh treatment. If the love has gone out of marriage then some sort of resolution must be sought. even if she did something wrong it does not allow him to treat her unjustly. Talk the problem out and do not allow it to get worse than it is. In the Hanafi school women are encouraged to pray at home and are discouraged from attending daily prayers. There are opinions that women of a mature nature can attend Fajr and Isha prayers, If tribulation is avoided. (Quduri) In addition to this it is highly recommended (sunna mukaddah) for women to attend the tarawiah prayers – those held during the evenings of Ramadan. This also has a geographical element as in some places it is common practice that women have designated areas to pray like in Turkey, Maroc and other places. Now the majority of women are not allowed in any masjid, (in the UK) they may even be stopped from praying in some places. Although there are other places where women are allowed. Even though I have no axe to grind here but the majority of women do not feel that they have place in the masjid and it’s solely a place for men. Even now most Masjids do not open their doors to women in Ramadan or even other events. This leads some women to wander off to other less mainstream groups as they have an open door policy and welcome them in. So there needs to be a solution here because we are losing sisters. It would be logical to think that the correct Islam would accommodate women and the incorrect version of Islam would not be bothered. In China, the Hanafi’s have women’s centres where women support women. This is something we may to look at instead of brushing more debris of lost youths under the mosque carpet! Why not have specific learning centres for both men and women so they can be taught their religion as well as maintain links with the masjid. In masjids that are run by Arabs there is more family feeling to them; as women and children are allowed. This is not common practice for those who come from other areas. Following on from the above point the access that women have to knowledge is limited. Not only is it limited it is locked within the confines of certain spiritual groups and even leaders. The Masjids have made sure that women are not allowed into the Masjids because the elderly men see them as a threat because for them it’s a ‘male’ only area. Generations of women do not know the basics of their religion and it’s so sad and shocking to see. We saddened to hear about a woman who was repeating part of her hajj because she said that she had no intention when she had done it! The strange thing is none of the men knew any better to tell her! So many women have questions about their belief that have been buzzing around for years which they cannot get the answers for. The men are in a similar condition so please be aware that this is not just limited to women. Another obstacle is when women have their monthly cycle they are not allowed to enter the prayer area so they cannot attend classes. So when masjid’s hold classes then this has to be taken into account when it is being built and not after when it is too late. It goes without saying that the role models that women can aspire to are those mentioned in the Prophetic life story. Look at Fatimah (may Allah be pleased with her) the devoted wife and mother of the scions of the Ahl Al-Bayt. She is the greatest woman of Islam because of many aspects her chastity being just one. She is also considered to be the greatest woman of all time. So do not belittle yourself housewives because you are following the footsteps of the greatest woman in history. Look at the story of 'Aisha (may Allah be pleased with her) she was a strong and intelligent woman who later became a light to pass on sacred knowledge that she had learnt. At times she was outspoken and she is the woman who narrated the most hadith; and only four men are before her! Look at Khadijah Al-Kubra (may Allah be pleased with her) a woman in total devotion to her husband and the cause of Islam. She was a powerful woman who possessed much wealth yet her criteria for marriage was not wealth like many people. She choose character and when she heard about the Prophet's (may Allah bestow peace and blessings upon him) honesty she offered herself in marriage. In all these examples you find devoted wives and mothers who were strong. There is no doubt these are the choice examples that women should look for to inspire themselves. As for our time, we are in dire need of trained spiritual guides for women to use as role models to follow. Female spiritual masters are needed in this time but we have yet to see any. This, like the previous note, is something that women need because a male spiritual master can only advise so far but a female spiritual master would go further with her student. Right now we do not have many women who are ready to teach and even those who possess knowledge are not willing to teach which is very sad. We need female doctors of all kinds of fields. This is a congregation obligation upon an area and if they do not fulfill then a whole area are sinful. Has an area tried to address this or even attempted? Role models are important because people look to others for inspiration so then they begin to copy it. But when there is no living example it becomes more difficult. We have few female leaders but those who do lead are outside the tradition fields of classical Islam and its understandings. So when they transmit what they learn they are found wanting in terms of classical training which is something that needs addressing. This is also down to the fact within some traditional circles there are no opportunities for them to study but there are in non-traditional circles. So where would they go if they wanted to learn? We need people who support those who are having problems marrying. We need to be aware that couples do need counseling and this service needs to be provided by trained professionals. Women must find out their rights and stipulate them in their marriage contacts. Men have to be aware that they have responsibility of children especially when they conceive with a partner that they are not married with. Just for the sake of clarification the act of procreation outside marriage is unlawful/haram; I am mentioning this here because it is a common problem. Sometimes men conceive with non Muslims which means that the offspring are brought up without faith. The men should have thought of this before the acts were done and not after. As you are now responsible for the child's future which you have destroyed because the mother is not going to bring them up Muslim. So why are you thinking about Islam now? This is one of reasons for its prohibition of marrying or procreating with those without faith. Children must occur in wedlock and there needs to be a conscience effort for them to get the best upbringing possible and this can only occur with a Muslim wife. Nowhere in any religious law does it allow the man to beat his wife up. (see above section on abuse) Those men who do this are the lowest of the low and you are showing how wretched they are. Any man who treats a woman with respect is a man worthy of respect and any man who dishonors women is worthy of being dishonored. If you are a man doing this then seek some professional assistance and try to manage your anger. There are many avenues that you can purse to rid yourself of this. So follow them because your wife's curses will catch up with you one day. Recently I was informed of case of a woman who was in an abusive relationship and I almost wish that I had not found out. Her ex-husband would beat her so badly and she would not be able to sleep because of the pain she was in. A man like this needs to be thrown to hungry wolves, naked. Some men will be resurrected with the great oppressors of history even though the only thing they were responsible for was their families. If you are woman and are suffering abuse then know if your husband has done the above once, he will do it again. Seek assistance from elders in your family and or professional assistance if no other option is available. Do not allow yourself to be a punching bag for an unjust spouse. A lot has been made about the fact Islam allows polygamous relationships. This is also something that men threaten their wives by. That they will get another wife and she will not have a choice! Islam is not a religion that is just for a single period of time as there many times in which polygamy was an answer to social ills. But what is the most important condition that Allah (the Exalted) has placed on these marriages? Justice, the man has to be just with all his wives, so if buys one a dress he must buy the others a similar dress! Anyone who has children knows how difficult it is to be seen as being just with them. So forget about being just with adults as this is almost impossible. “If you are not just; then one (wife).” Quran: Women 4:3. So this dispels the myth that a polygamous marriage is all about the 'fun' rather it is a serious commitment to justice and not mere amusement. We keep hearing news reports of disgusting acts that have been committed. And as usual there is very little education about how to treat women in any form. There needs to be more things spoken about these in the public spheres in terms of educating the masses. This criminal element must be dealt with in the most severe way possible. A clear message that this kind of behavior will not be tolerated and it must be driven home. Yet given the weakness of community leaders and the failure of those in influence means that there will be nothing done. Most of those who run for public office are local ‘uncles’ who can barely comprehend the needs of the people. So when these issues occur they are totally unaware of what their response should be. We need community leaders who are in tune with the needs of the people and who can reach out not those ‘uncles’ who are interested in a nice wage packet or people who are out of sync with the needs of the communities they serve. Attending the pilgrimage gave me a sad insight to the treatment that women face there. Thanks to the dominance of the bedouin culture women are not safe in the sacred cities of Mecca and Medina. They are treated as second class citizens which is something very sad to see. It is not uncommon to see these things in the vicinity of Ka’aba itself which makes it even worse. Even their ablution facilities were outside which were in full view of other men in Muzdhalifah. Yet this was not the same for those who were Arab. We need communities that support their women and try forward them in the areas of Islamic knowledge and the other areas that we have outlined above. Of course this might not be for everyone but we should have sufficient women in an area to fulfill their needs. The most important role that a woman plays is the role of the mother and this is something that cannot be understated. Her role of establishing the values of her child are paramount to their upbringing. Boys need to be taught how to respect all women and not just their mothers. It is always strange when a father has more concern about the righteousness of his daughter (s) but lets his sons have all the freedom in the world. The father also has an important role that he needs to play by showing his sons how to treat women and how to be a man. Remember even if you do not teach them they'll learn by your behavior. We need a cultural shift that will bring a new change into the lives of people. We do have the ability to change our condition but we need brave people to stand up and be counted. We need community leaders and individuals who are going to stand up and make changes even if it’s just in their own homes. As many a time we cannot change the outside world but we can change what’s in our own homes. Use this to make positive changes to your world. We really need courage in this time of cowardice. For a Muslim, the Quran is our model and we need to go back and look at the examples mentioned above and realise there is a distinct disparity in the times we are living. 1. War is the murder of civilians in their homes as the papers report collateral damage. 2. Dehumanising humans means that we are losing our humanity. 3. The only thing that you can do is control your own choices. 4. If the world was a place that justice was prevalent then there would be no point in the day of judgement. 5. Slavery still exists except the difference is that they stay in their own countries. 6. How can the children of the founding fathers not give religious freedom to Muslims when their forefathers fled England to America to seek religious freedom? 7. Until we starting asking Creator to solve our problems than asking creation, our problems shall remain. 10. Apparent talent is karaoked out of the youth! 11. I find it strange that people think that they can spread Islam by being harsh and not following the merciful nature of the one who they claim to follow. Because without mercy Islam would not have reached all the corners of the globe. 12. Do not make the Ahl Al-Bayt a means of punishment for you by being harsh or worse to them. Make them a cause for your salvation by asking for their intercession. 13. The love of the Ahl Al-Bayt is mere lips service. 14. If you want to commit evil you will find many people to join you but if you want to do something good then you’ll find no one to help you. 16. Anyone can speak but only a few can teach. 18. If you filter Ahl al-Sunnah through by one scholar you leave Ahl Al-Sunnah. 19. You only lose when you give up. Recently something occurred that bothered me a lot. I came across a man who had difficulty understanding my broken Urdu as much as I had difficulty understanding his broken English. He then said something that really annoyed me and that made me think that this type of backward attitude is keeping Muslims down. He said that I should speak Urdu because Urdu is the language of Islam and that speaking English meant that I was almost a Gora. Gora normally refers to someone who is English and not Muslim. It is also a derogatory term. So he was accusing me of not being Muslim because I did not know how to speak Urdu fluently. He left my company quite abruptly with the worst manners which is something in opposition to the one he is claiming to follow! There are so many problems with this person and this has happened many times. It is nothing sort of backward village style mentality. 1. According to him the only Muslims are the ones who speak in Urdu. 2. Arabic language means nothing compared to Urdu. This is not something new and many people come into contact with such people. So many people think that only a Pakistani can be a Muslim which is something absurd, so how do they explain the Christians and Jews that are Pakistani? It is beyond bafflement that such people live in the west and do not make a good effort or even a meagre effort to learn the language of the place in which they live! I have often heard children say “he cannot be Muslim! He is not Pakistani!” Or when they meet a new Muslim they say, “You cannot be Muslim,” which means you cannot be a Pakistani. So if you are a new Muslim and you hear someone say this then you know where it comes from. It is also the same when some Arabs of today that you cannot be a true Muslim without proper Arabic. So maybe it is because of these false modern attitudes that the Indonesian Muslim population outnumber the rest of the ethnic groups. New Muslims who come into Islam need to learn Islam not Pakistan! Or any other nationalist mentality, but are we concerned? In many cases people come into Islam, see what we have and flee. Why? because we are not teaching them what they need to know. We have a lot of work to do and people who have this attitude should be sent to their own countries and left there. People who are in the west need to understand Islam better and remove their village mentalities. Al-Ashbah Al-Nazahir by Ibn Nujam (may Allah show him mercy). This is not just a story for you to praise Allah. This is a real event in which you should practice giving the benefit of the doubt. But who will? And how we are in dire need of this now. 1. Loss is something that the living have to learn to deal with. 3. A masjid is an empty building without a good teacher. 7. If perfection is beyond you then it’s beyond others. 8. Don’t look for perfection in a partner because you are not perfect. 10. The difference between barakah and knowledge is that barakah helps you for a day or two and beneficial knowledge helps your forever. 11. If you give all your time to knowledge you’ll get something. If you give a little time for knowledge then you’ll get nothing. 12. Arrogance in blessing means you have changed it into a curse. 13. Some things are not meant to work out. 14. Black magic is like sending a invisible gang to fight someone. 15. Seeking knowledge is a cause of felicity and abandoning knowledge is the cause of duplicity. 16. “And that's the thing about people who mean everything they say. They think everyone else does too.” Khaled Hosseini, the Kite Runner. 17. Some people like being lost. 18. Knowledge is something strange. 19. Don’t let the darkness fall before you do something. 20. Wasting time is your biggest crime. Jihad: A Just Struggle or Unjust Violence?